Challenging people to create a short film which had to be set in a kitchen led to an array of shorts, each one unique and imaginative. Here is a list of the films that graced the Savoy screen last November, each of which can be viewed at the Mutant Space Vimeo page here. The Kitchen by Fiona Dowling featured a variety of kitchen appliances with strong personalities, that will make you think twice the next time you kick your vacuum cleaner in frustration. Home Sweet Home by Keith O’ Connell is the poignant tale of a young man living in squalor and proved to be the winning film on the night. In DI Why? by Fiona Riordan and Cethan Leahy, we realise that some household chores just aren’t worth the effort, and can leave you in a sticky situation. One in the Oven by John O’ Callaghan features a turkey and an unborn baby having a kitchen oriented discussion. Kitchen Antics by Tom White and Seán Stanton lands us in the midst of a student party wherein two guys end up chatting in the kitchen. The Baked and the Dead by Oisín Carey promotes spaghetti western style cooking when a duo compete to create the best beans on toast. Fishbone by Hayret Abdula traces a married couple through the years, and all viewed from their very own kitchen. Crab Murder by Hilary Williams is almost documentary like in the way that it follows a crab from shore to cooking pot in the kitchen. Butcher by Donal O’ Shea brings us on a surreal and crazy trip into the kitchen of one off-the-wall young man. Conscience by Seán Breathnach sees a man in the aftermath of a break up, as he deals with the issues weighing on his mind. All You Can Eat by Rob Noonan centres on a restaurant with a difference, in this rather bloody but intriguing tale. The Influences of Feminism on French Cuisine by Christina Utzeri tackles the problems that occur when feminism has its way in the kitchen. First A Dream by Cethan Leahy tells the tale of two people and the strange dreams that one may be inflicting on the other. Do check out the Vimeo page. First A Dream is not available on the Vimeo page but you can view it at http://thegiftedbabies.wordpress.com. 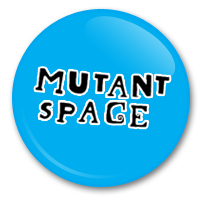 If you were at Mutant Shorts, we’d love to hear your opinions, comments are welcome!